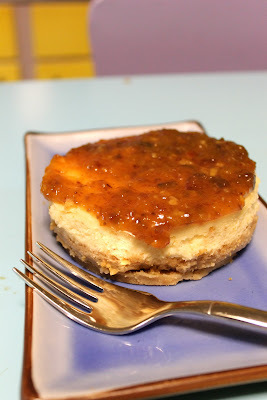 Bossy Italian Wife : Mini Cheesecakes for Two! I searched and searched for a recipe online for a goat cheese and cream cheese cheesecake for two. It was a tall order. 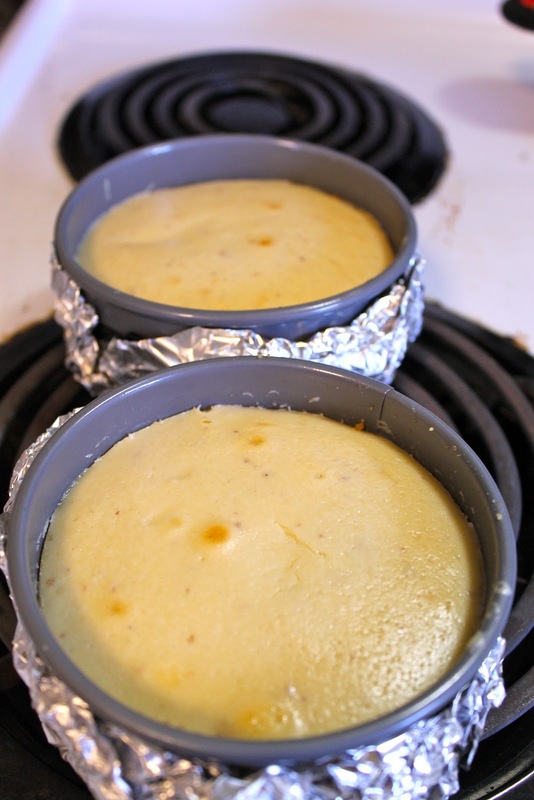 I have these two really cute springform pans and I wanted to make two little cheesecakes for my husband and I. Well, that was part of it. It all stemmed from a goat cheese dispute, of sorts. I had bought this great crumbled goat cheese with candied cranberries in it when I went shopping. I was putting it on our salads. About four or five salads in, my husband said, "What is this cheese?" I smiled and proudly said, "Goat cheese!" He made a face. "I don't like it...the texture is bothering me." He can like something one time and another? Ugh. So I had to find a way to use it up. I decided on cheesecake. When I couldn't find a recipe? Well, don't you know, I had to make my own. And since I had gone that far already, well, I decided I would share it with all of you! Here are my little springform pans. Aren't they cute as heck?! Well, we all know I have a thing about miniatures, anyway. So, I have now greased my cute lil pans and then I DOUBLE wrapped them in foil. This is because I'm gonna set them in a pan and pour some water in 'em. And we don't want any leaks! 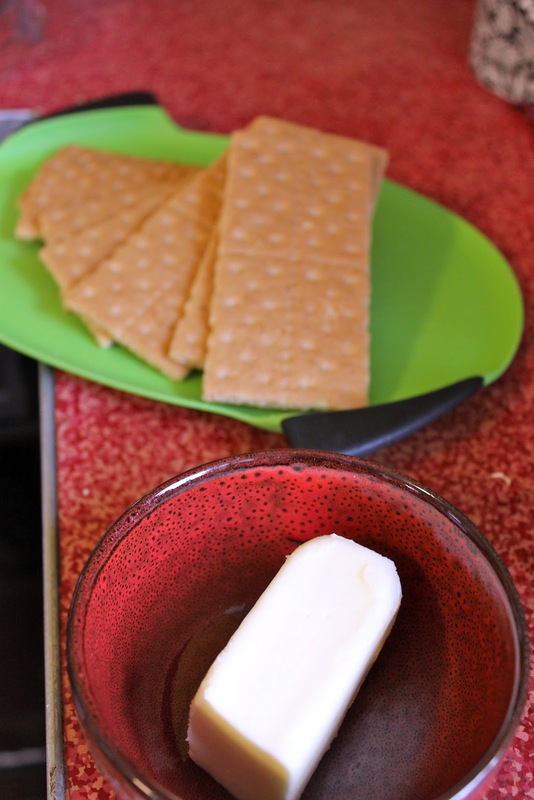 Graham crackers and butter. These two things are like super heroes. They are awesome separately, but when their magical powers combine, they form an unbeatable combination: CRUST! 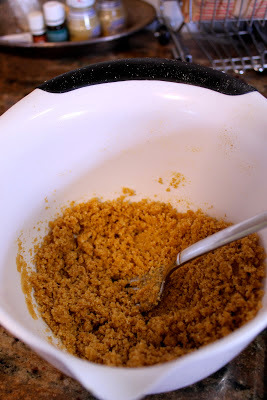 I like to use my food processor to get them all crumbled up finely. 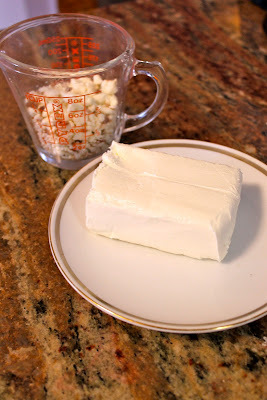 And I've melted my butter and now I'm gonna add them together. Shhh! Don't tell. I totally scooped one--okay, two--big mouthfuls of this crust. It was slightly warm from the butter and so good. Then press them in the bottom of your pans. If you want a full ring of crust, feel free. It's just not my preference. Get your goat cheese and cream cheese. And put them in your food processor. 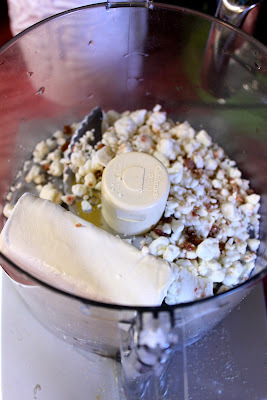 See how the goat cheese has the candied cranberries?? Yum right!? Process until smooth and then add in your egg, sugar and vanilla. This looks great, doesn't it?!?! Then put your pans in a bigger pan and add enough water to come up about half way. Then you are going to bake them on 350 degrees for 45-50 minutes. When the bake time is up, I turn off the oven and I let them cool for 15 minutes in the oven. 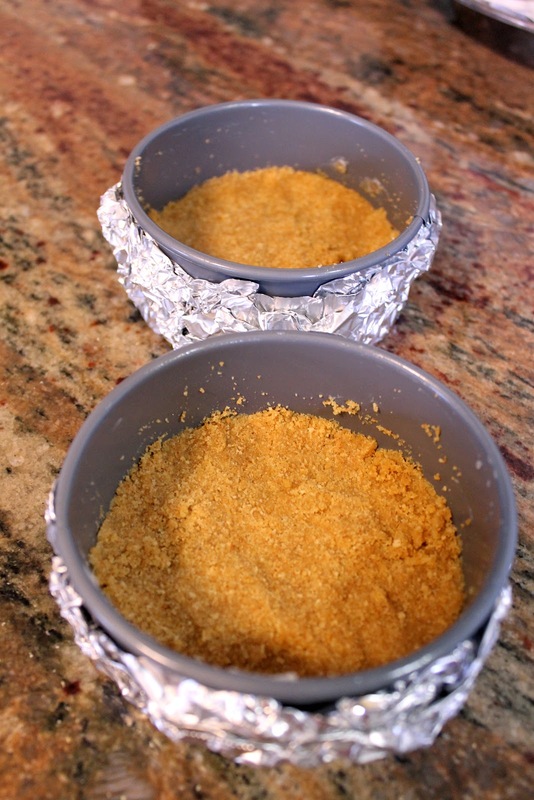 Then you can transfer them to the fridge and let them cool completely. When I'm ready to serve them, I remove them [carefully] from the springform pan and topped it with some of my canned plum conserve. My husband also enjoyed some strawberry jam on his cheesecake. Really, you can top it with whatever your little heart desires: chocolate, nuts, fruit, or whipped cream are all excellent choices!!! 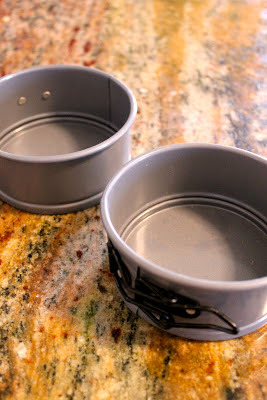 Prepare your springform pans by greasing them with butter and then double wrapping them with tin foil. Set aside. Break up your graham crackers with your hands and place them in your food processor. Process them until they are finely ground. Add to a bowl. In a microwave safe bowl, place your butter and melt in the microwave (anywhere from 10-30 seconds, depending on your microwaves). 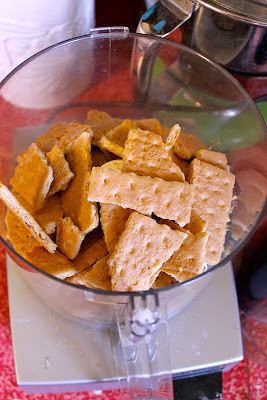 Add your melted butter to your ground graham crackers and mix immediately with a fork. Sneak a bite. Press into the bottom of your spring form pans. If you prefer, you can make a full crust, but I only do mine on the bottom. Set those aside. Clean out your food processor and place your goat cheese and your cream cheese in the processor. Blend fully. Add your egg, vanilla and sugar. Blend again. 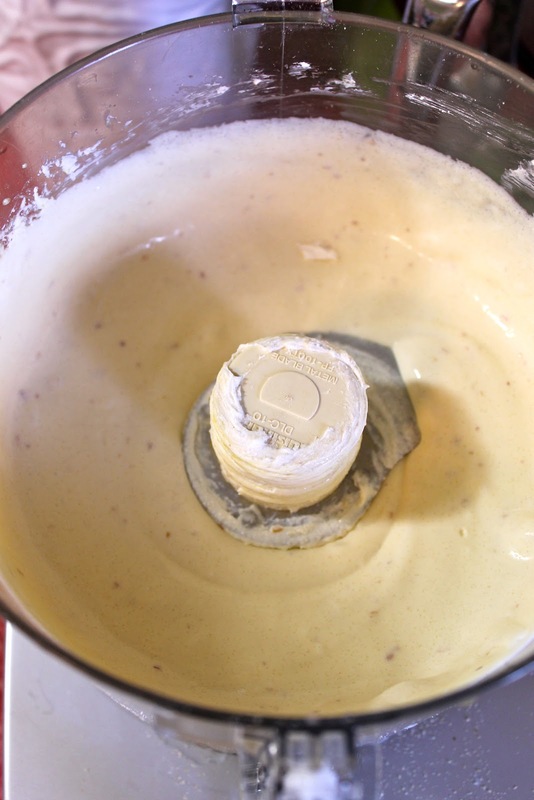 Distribute mixture evenly between the springform pans. Place your two springform pans in a larger pan. Pour water into your larger pan, allowing it surround the springform pans on all sides. Fill up about half way. 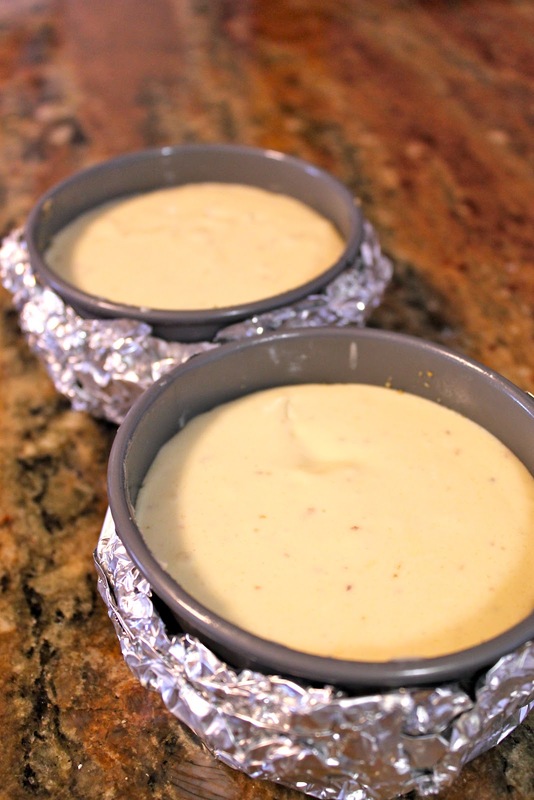 Place the pan in the center of your preheated oven. Allow the cheesecakes to bake for 45-50 minutes or until they are set in the center. When they are done, turn off the oven and crack the door. Allow them to sit there and cool about 15 minutes. Transfer to the refrigerator to cool completely. When you are ready to serve, remove the springform pans and top with your choice of toppings. Strawberry jam, fruits, chocolate or whipped cream are all good choices! Stuff I Use: Scottish Ice Cube Bags + A Giveaway! Bossy Italian Wife Takes Scotland!